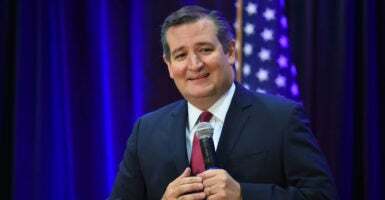 The Senate passed an amendment from Sen. Ted Cruz, R-Texas, Friday to the Tax Cuts and Jobs Act that would allow 529 college savings plans to expand to primary and secondary school tuition for public, private, and religious schools. The 529 college plan “is a tax-advantaged savings plan designed to encourage saving for future college costs,” according to the U.S. Securities and Exchange Commission. She said this amendment would “benefit children of all economic backgrounds,” and they could more easily make their own education choices that fit them best. The Tax Cuts and Jobs Act passed the Senate with a vote of 51-49, but Cruz’s amendment needed the help of Vice President Mike Pence to pass 51-50. Casey Ryan is a member of the Young Leaders Program at The Heritage Foundation.